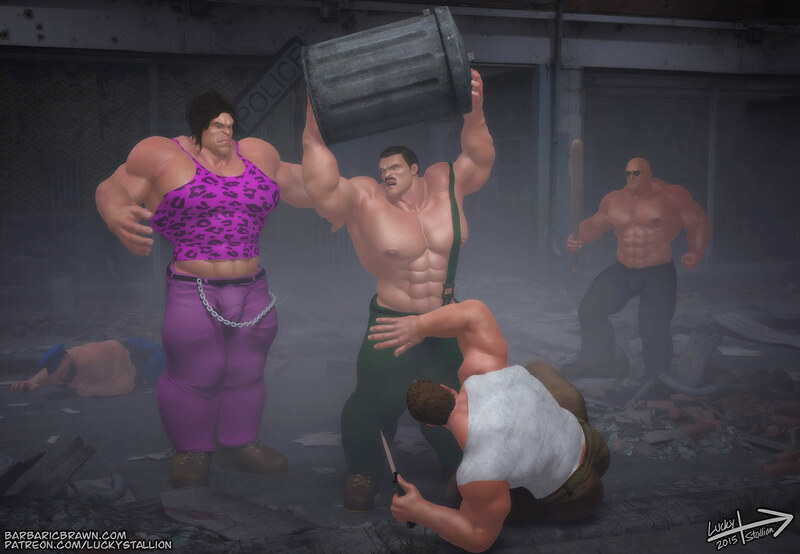 Hot Nights of Metro City involves my favorite pro wrestling, street-thug-piledriving, muscle mayor, Mike Haggar. Just a small set of scenes in this one. Wanna get these in their native high res and image quality and support my future works? Please visit my Patreon page and consider pledging for more muscle. Thanks for your support! I think I really need to donate to your patreon after all these years of amazing pictures and stories. I just love these muscle scenes with Mike Haggar would love if, to include Guy and Cody in versions huge and immensely muscular. Anyway is a great art work await more.